Welcome to 30 Days of Q&A. We are on Day 6. Today we are going to talk about networking and how you can network effectively even if you have little time. 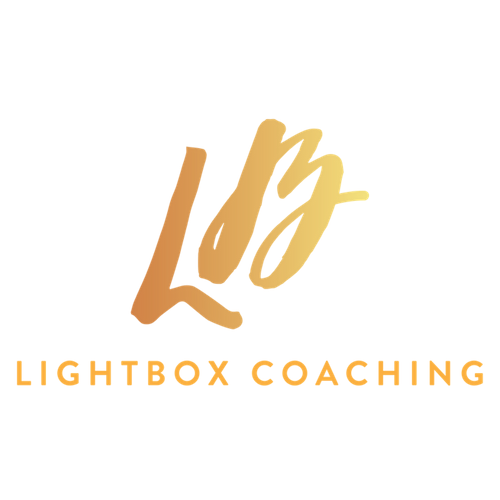 For those that don’t know me, my name is Janine Esbrand and I am the founder of LightBOX Coaching where I help women to return to work with confidence and build careers that they love. This question came out on a recent webinar that I delivered and somebody saying that they really want to get to know their new colleague and network, but they have limited time because they need to leave the office at a certain time. So, they were asking about tips on how they can still get involved in networking. The first thing you need to think about is why you want to network. What are your networking goals? Are you hoping to expand your network in terms of getting to know your colleagues better? Are you hoping to expand your network in terms of potential clients that you want to attract to your organisation or business? Are you into networking to gain more support? So, think about your reason for networking, first and foremost. Because that is going to impact how you go about your networking and how you get together your networking strategies. The next thing to think about is what you actually like doing. It is easy for us to think about what we should be doing in terms of networking and what other people are doing. But how do you like to interact with people? You might be an extrovert in which case going to live networking events is something you really enjoy doing and get a lot of energy from connecting with new people, working room and learning about those people. You might be an introvert and the thought of going to a networking event just makes you cringe. You just really don’t enjoy doing it and you feel zapped off energy when you leave. It is not something that you really like. So, think about what you actually would like to do in terms of connecting with people and what would work best for your personality. Because there is no point just doing networking because you do it you should and actually, you don’t show up well because you are hating it. There are different ways you can do it. Say I more enjoy connecting with people on a one on one. If that is the case, think about how you can create opportunities to meet new people one on one. Maybe you want to do it lunch date or breakfast meeting. So that it is not all centred around things that happened after work. You can start thinking about who are the people within my team or organisation that I want to get to know better and then you can reach out to them and say let’s put a date in the diary to have a catch up to get to talk about xyz. Let’s put a date in the diary to go out for lunch. You can be intentional about setting up those dates. But if you say I want to connect with 4 people in a month that might be a lot. But let’s say I want to connect with 2 people in a month. You can put those dates in the diary and you are building your network one by one because that is the way that feels comfortable for you. Think about how you can be networking online. LinkedIn is an amazing platform for networking. It is always like you have a huge virtual networking room and you are able to see a lot about people in terms of their background, what they have done in the past and what they are working on now. There is ample opportunity for you to reach out and show how you might have similar things in common. When you reach out and start having that conversation online then you can look out how you can bring that offline. But if you are not able to physically go to networking events or be in person around people, starting online with LinkedIn is a great way to go. I say these a lot to my clients who are mums who are getting back into work. You can be using LinkedIn to expand your network but also let people know about what you are doing, career goals, aspirations and how you are developing your personal ground. Definitely, leverage LinkedIn and think about how you can be connected with people on one on one. Because this is the thing: networking is essentially about connecting with people. When you are connecting with people for a reason, it could be that you don’t know where that particular relationship is going to lead or what opportunities it is going to open up. But you just want to be expanding your network. Because expanding your network means you are getting exposed to a lot more information or insight than you will have before had you not met and develop a relationship with that person. So, that is the second thing you want to think about. The third thing is to think about setting some tangible goals around it. It is easy to say ‘I want to network more’, ‘I want to get to know people more’. But start putting to numbers to it. I mentioned it just now. But you might want to say you are going to meet 4 or 2 people. But have a goal. In terms of my networking, I really like to meet a certain number of people or I really like to nurture relationships that I already have with a certain number of people each month. One of my business mentors talks about doing a 4x4 challenge. She connected to every month meeting with 4 people that she knew and 4 people that she didn’t know. Over the course of the year, she felt her network massively just by doing that. That could be a lot in terms of going to many meetings especially if you are in a limited time. But you can say one. You can say you are going to meet one person you know and one person you don’t know every month. Overtime that is really going to your network. Just put some tangible numbers around it. We are going to talk about smart goals. You are going to be really specific. You want to make sure your goals are measured goals – actionable, realistic and you get a time frame around it. I suggest you do that with your networking. It is absolutely possible to network. Don’t think that just because you need to leave the office dead on time, you need to do the nursery run or the pickup that you are not able to connect to your colleagues or you are not able to get within your team as somebody who is adding value to the team. You can. You just need to be strategic about it. So, that is the answer to the question for today. If you haven’t seen any of the other videos, Day 1 to 5, I would suggest that you go and check those out because we have been talking all about job searching this week. As we moved into next week, I am going to start answering questions that I have received around returning to work. I appreciate that over the 30 days there is going to be lots of videos, lots of content that could be useful for you at different stages and you may want to revisit them. So, I have decided to pool over videos together and create a bundle of videos for the 30-Day series. You can access these by filling in the form below.